As the premiere concert venue in the Southern Indiana area, the Jeffersonville RiverStage was looking to boost attendance and awareness of their summer concert series in the summer of 2016. Our creative team worked closely with the Jeffersonville Parks Department to develop a format and visual treatment for a video promotion series we planned to publish through the RiverStage’s existing social media channels. 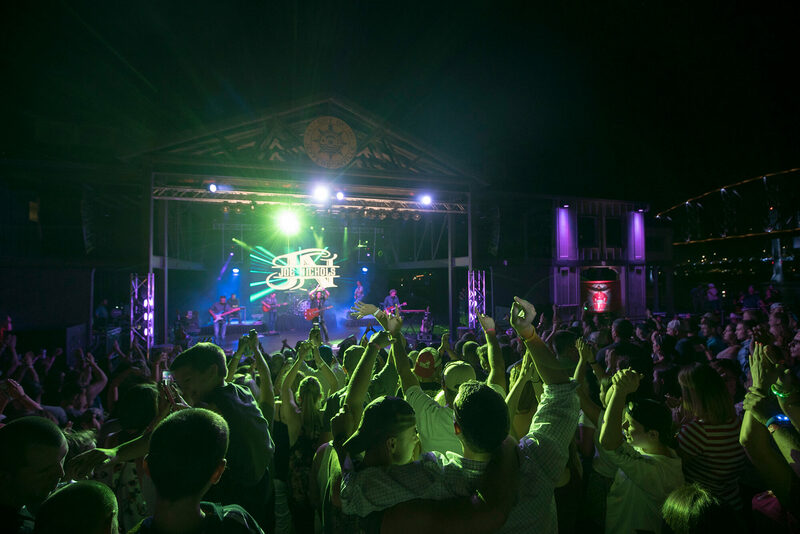 With a concert every Friday evening and an outdoor movie every Saturday night, the weekly video promotion, titled “RiverStage Shout Out”, would inform and market the venue’s weekend lineup. Quickly, the videos gained popularity and were averaging over 10k views per week; and by the end of the summer, the RiverStage’s social media following had grown by more than 20%. The Coca-Cola Summer Concert Series at the Jeffersonville RiverStage saw record crowds in the summer of 2016. Pleased with the promotion strategy that had succeeded in the previous year, in 2017, we were brought back to put on a similar campaign which saw just as fruitful returns. The “RiverStage Shout Outs” garnered the attention of more than 10k people each week, social media followership grew by an additional 20% in the second year, and the venue hosted crowds bigger than the record-breaking ones it boasted a year ago.